The PL series can be arranged in any order depending on your needs. The HSS PL1-OB can be installed in traditional wall mounts or HSS Industries' models 101R Front Loading Enclosure and the 101C Rear Loading Enclosure. 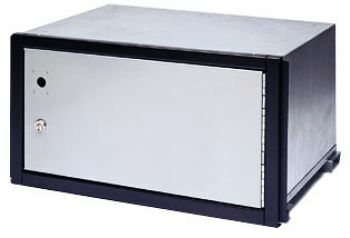 The PL1-OB is 22-1/2"W x 15-1/2"D x 11-3/4"H. Door size 20-1/2"W x 9-15/16"H.